This project is one of my favorite DIY projects. 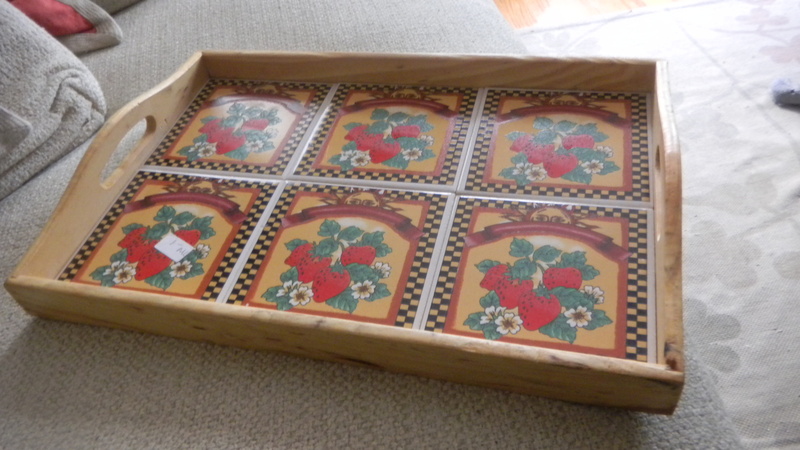 I started with this tray from the thrift store. It was $1.50. 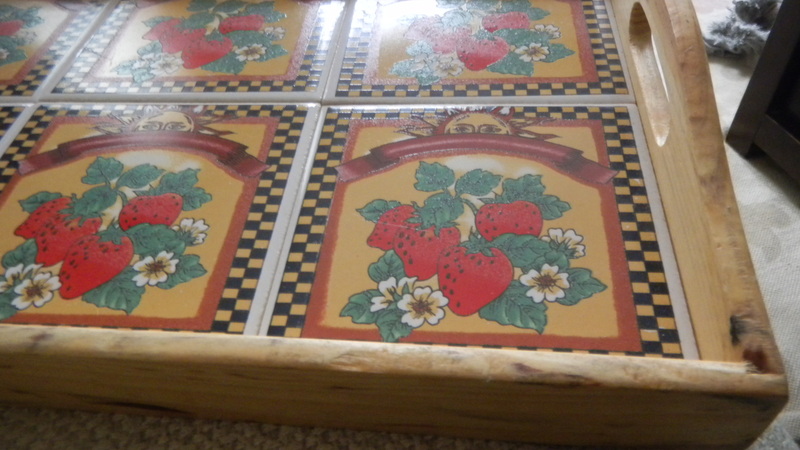 And yes, those are strawberry tiles. I may have overpaid, but I liked it’s smaller size. 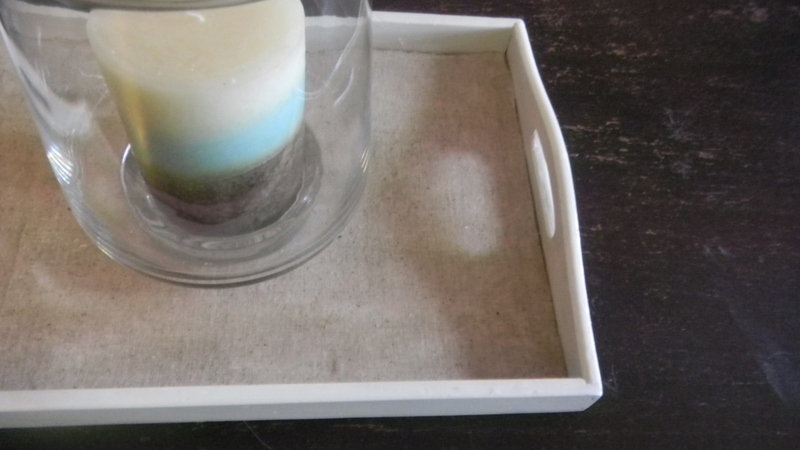 With a couple coats of white spray paint and a leftover linen scrap, I turned that ugly tray into a really pretty piece of decor. To start this transformation, Dan helped me remove the tiles. They were glued on way better than I anticipated. 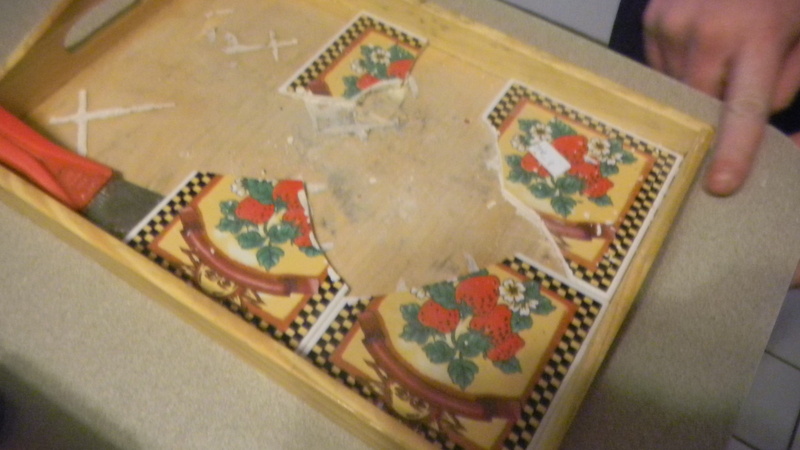 Because of this, the bottom of the tray broke. I spray painted the tray anyways, and once it dried, I had to figure out what to do next. I decided to glue a very thin piece of cardboard to the tray. 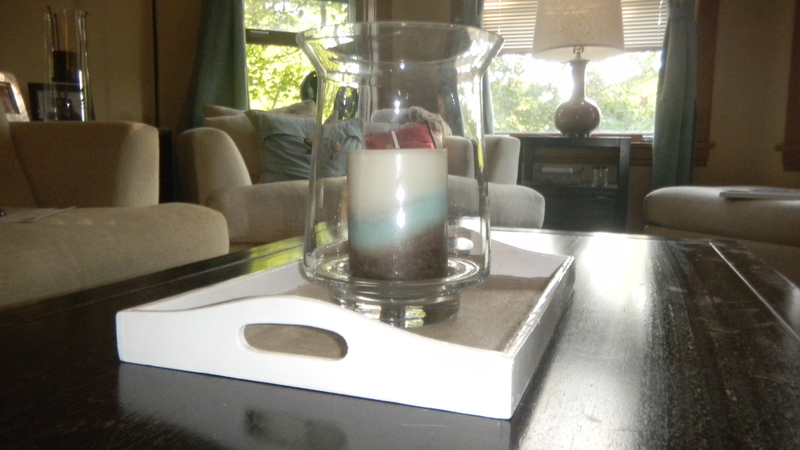 I knew this wouldn’t be a heavy use item (it will only be used to hold candles and other decorative items on my coffee table), so I was OK with the fix. 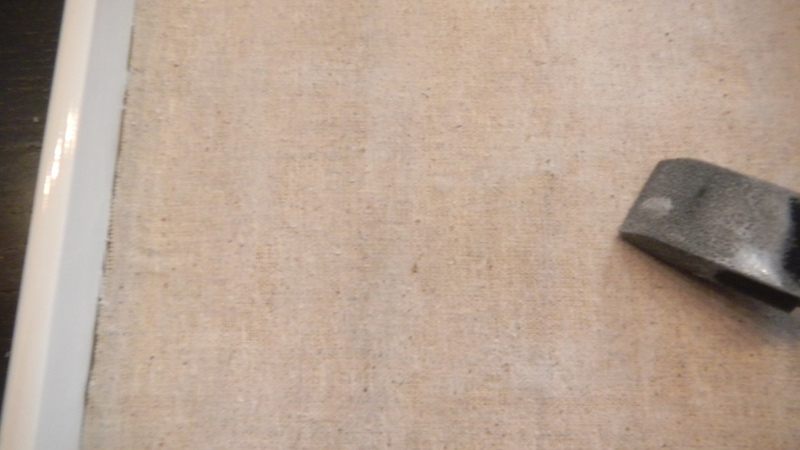 Then, I carefully measured one of my linen scraps. I ironed it, then mod podged it to the tray. I gave it two coats. Once the linen dried, I set a few heavy books on top on the tray to make sure everything stayed in place. I think it came out nicely. If I did this project over, I probably wouldn’t remove the tiles. It caused more problems than it was worth. But, I’m no expert, and this is how I learn.